When an emergency arises, we want you to be prepared. We also want you to know that you have our team in your corner whenever a dental emergency happens. Drs. H. William Greenberg, Julie Ko-Kim, Adam Cygler and Vrishali Govitrikar are here whenever any type of dental emergency pops up. Our Mt. Holly, NJ office is well-equipped to handle any kind of dental emergency, which is why our office is open late four nights a week just in case the unexpected happens. Time, as they say, is extremely important during an emergency and can often be the difference between saving and replacing a tooth. Our family dentists take your oral health very seriously and they know how detrimental any dental emergency can be for your mouth and your psyche. 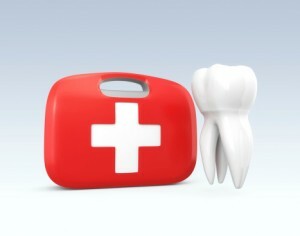 We want you to know that you don’t have to fight this alone, and that our team is at the ready for a dental emergency. Not all injuries to your mouth would fall under the “Emergency” category. For instance, a toothache that doesn’t seem to go away may be the sign of a dental emergency or it could be intense tooth sensitivity that you’re experiencing, therefore needing a root canal. These are usually the emergencies we treat. Any one of them can cause massive amounts of trauma to the mouth and your psyche. There’s only so much you can do at home until you see us at the office. In the case of a lost tooth, there are simple home remedies you can do to keep the tooth protected, like keeping the tooth in a glass of milk. It’s important to keep that same tooth so we can try and attach it back. When the going gets tough, the tough truly do get going. We’re the toughest office crew, and we’re here to handle your dental emergencies. Don’t panic – we’re here to help. For other emergencies that go beyond what we can treat, you should dial 911 and receive alternative help. If the emergency happens inside of yours or your loved one’s mouth, we’re the office to call. For all of our residents in Mt. Holly, NJ, please don’t hesitate to give us a call when an emergency occurs. We happily accept residents in the surrounding areas of Timbuctoo, Westhampton, Springfield, Lumberton and beyond. Don’t let a dental emergency leave your oral health hanging in the balance; call our office and receive treatment immediately.